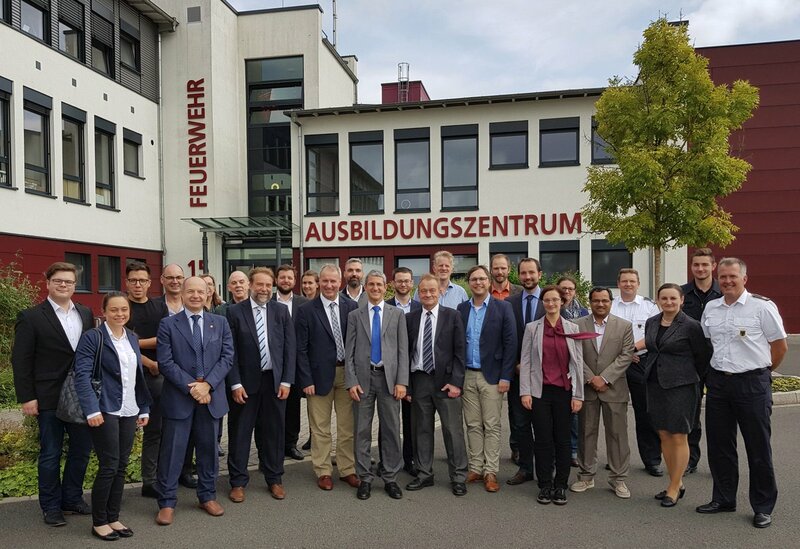 The Athena Project is an innovative EU funded project pioneering smarter communications for critical incidents. It aims to develop technical applications or “apps” for smart phones and mobile digital media devices, which will capture real-time information from the public during crisis situations. The COntribution of Social Media in Crisis management (COSMIC) project will identify the most effective ways to utilise new information and communication technologies in crisis situations for the protection of ordinary citizens. The project will result in a set of guidelines for citizens, government authorities, first responders and industry for the most effective use of ICTs to aid citizen security during crises. orts, through the provision, dissemination, sharing and retrieval of information for the critical intervention of Public Protection and Disaster Relief (PPDR) organisations. fficient use of social media and mobile technology in crisis situations. validation tool for the iSAR+ Guidelines. The aim of Project Slándáil is to design and develop an intelligent information gathering and processing system which provides information about public distress to emergency services. The project will use information from different social media channels – text, visual and audio – to help provide warnings about major impending disasters, both natural and man-made, and the following efforts to recover from them. 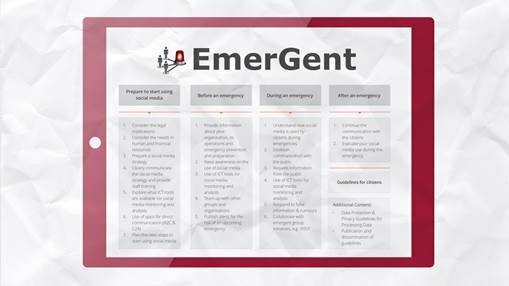 SOTERIA Recommendations, to provide guidelines and courses of action for PSOs and citizens in order to create an effective and efficient use of social media in emergencies, that understands its impact, preventing and/or mitigating hurdles and maximising related added values. SUPER is an interdisciplinary security-focused European research project which explores optimal ways for understanding the impact of social media in emergencies, along with ways for exploiting and integrating social media platforms within security and emergency management systems. The aim of the project is to introduce a holistic, integrated and privacy-friendly approach to the use of social media in emergencies and security incidents.